Can my service dog go anywhere? Your service dog can go anywhere that the public is allowed to go. Under the Americans with Disabilities Act (ADA), privately owned businesses that serve the public, such as restaurants, hotels, retail stores, taxicabs, theaters, concert halls, and sports facilities, are prohibited from discriminating against individuals with disabilities. The ADA requires these businesses to allow people with disabilities to bring their service animals onto business premises in whatever areas customers are generally allowed. Can people bring more than one service animal into a public place? Generally, yes. 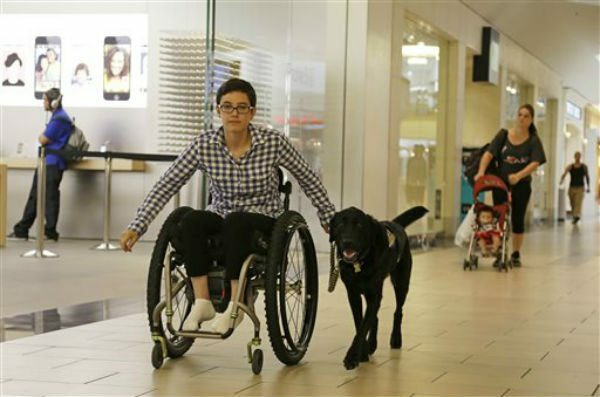 Some people with disabilities may use more than one service animal to perform different tasks. For example, a person who has a visual disability and a seizure disorder may use one service animal to assist with way-finding and another that is trained as a seizure alert dog. Other people may need two service animals for the same task, such as a person who needs two dogs to assist him or her with stability when walking. Staff may ask the two permissible questions about each of the dogs. If both dogs can be accommodated, both should be allowed in. In some circumstances, however, it may not be possible to accommodate more than one service animal. For example, in a crowded small restaurant, only one dog may be able to fit under the table. The only other place for the second dog would be in the aisle, which would block the space between tables. In this case, staff may request that one of the dogs be left outside. 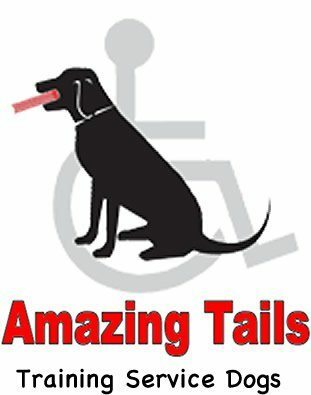 Please Click the button below to help Amazing Tails with a donation to assist in making service dogs more affordable to those who need them the most!